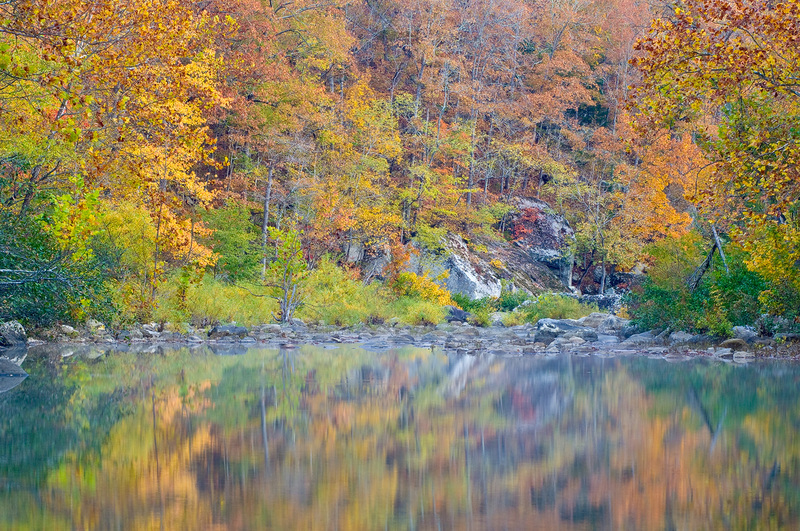 Fall colors reflect off the surface of this quiet pool along Richland Creek. Arkansas Nature Photography. Photo © copyright by William Dark.